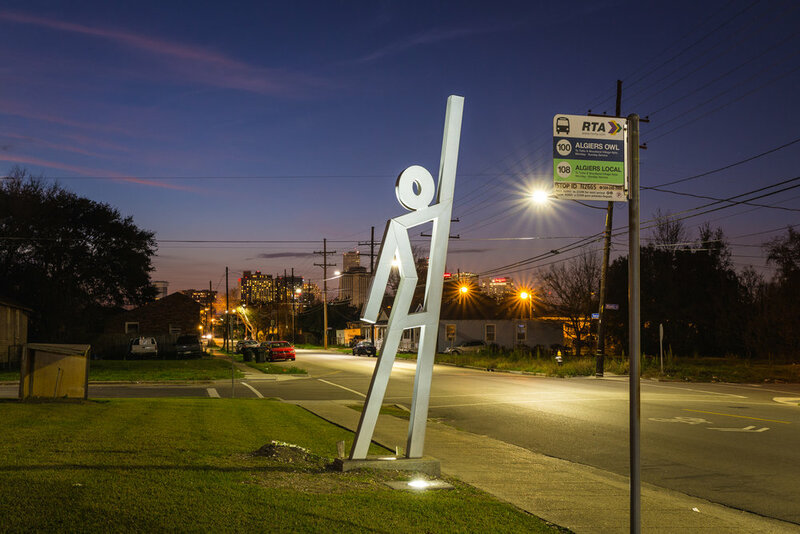 Evacuspot statues mark the pick-up locations where residents may go to use City-Assisted Evacuation when a mandatory evacuation is called for the city of New Orleans. 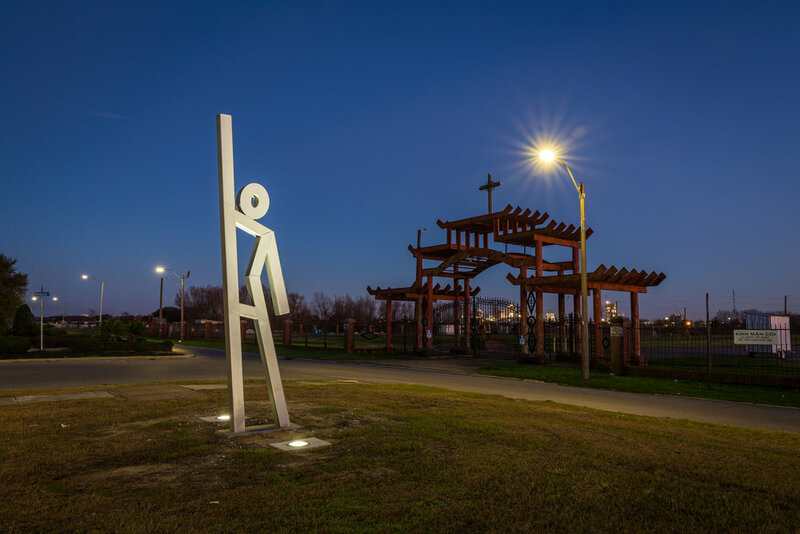 Evacuteer spearheaded fundraising with local and national stakeholders to meet the goals of a first-of-its-kind public art with emergency management function. 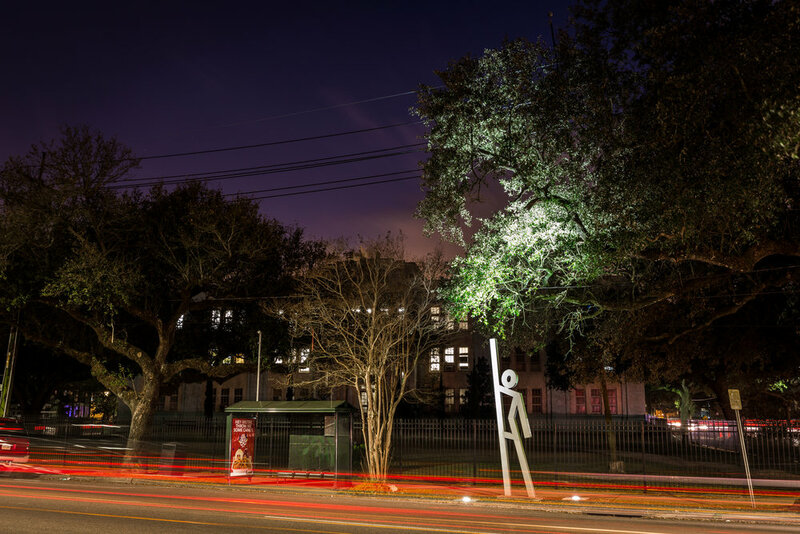 Throughout New Orleans, there are 15 statues installed out of 17 spots total. 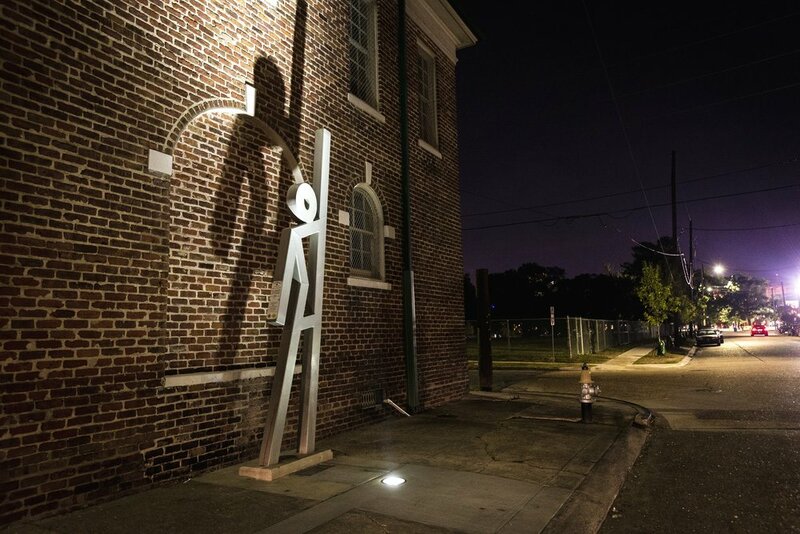 Each stainless steel statue is 14-feet-tall, weighs 800 lbs, and is meant to withstand 200 years of wear and tear. 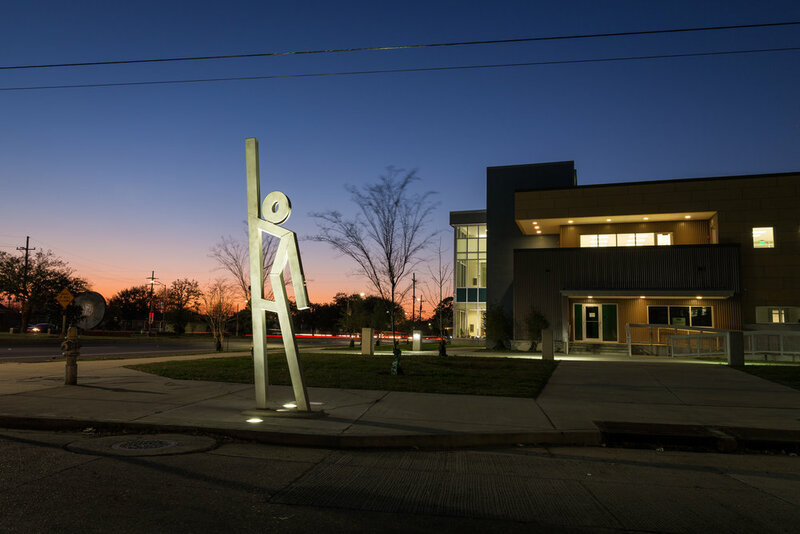 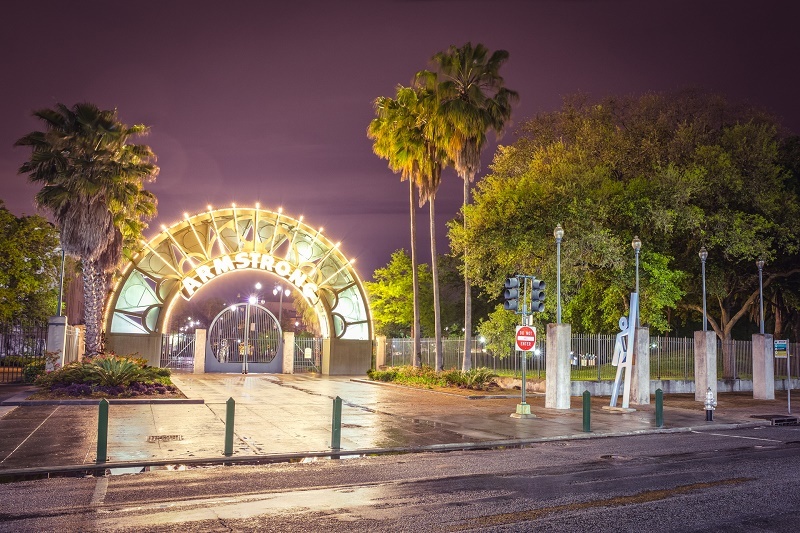 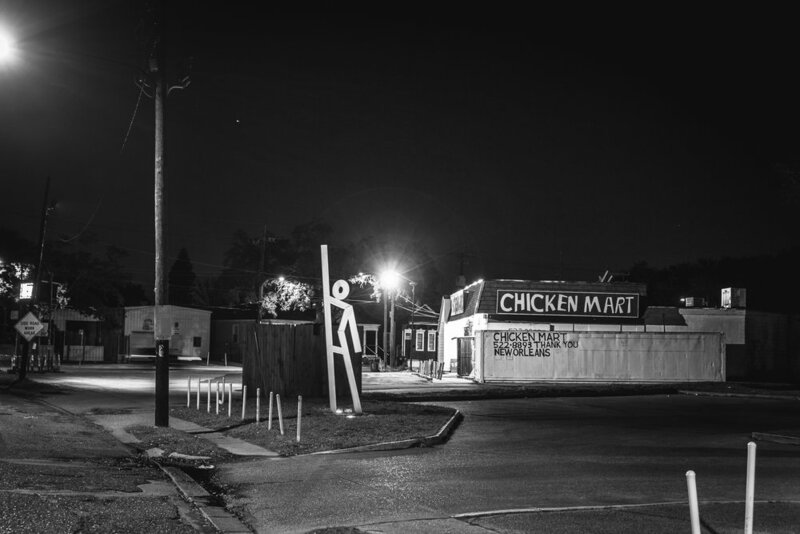 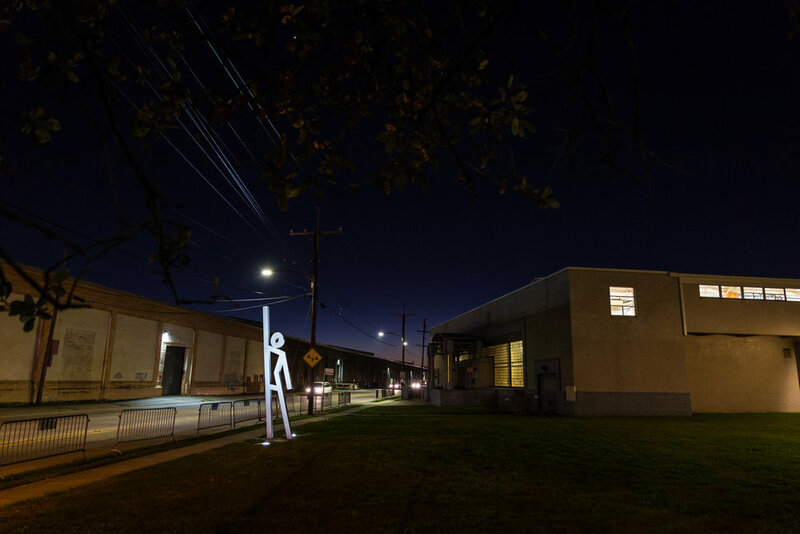 Designed by public artist Doug Kornfeld and installed in 2013, Evacuteer spearheaded the fundraising in collaboration with FEMA, the Arts Council of New Orleans, and the New Orleans Office of Homeland Security and Emergency Preparedness.